Day features so many characters that I had two options. I could pen a quick overview – which I did – or I could mention all of the many participants. That seemed like a bad idea, simply because I didn’t think it would go anywhere. With so many characters, we don’t tend to learn a lot about them, and the general story of the invasion remains the only important plot piece. The participants matter in terms of the way they execute the tale, but they don’t get much development. Unfortunately, because the film covers so many participants, we’re left without many characters about whom we care. Actually, it’s not really that we don’t care - we do kinda sorta hope they’ll do okay, at least as far as the Allies go. Heck, even some of the Germans get semi-sympathetic treatment; when we see a pair of airmen go against insurmountable odds, we feel some compassion for their plight. 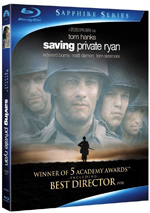 The Longest Day appears in an aspect ratio of approximately 2.35:1 on this single-sided, dual-layered DVD; the image has NOT been enhanced for 16X9 televisions. 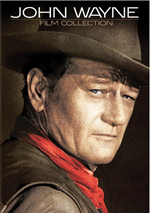 Though a 2006 DVD provided an anamorphic version of the film, this 2012 “John Wayne Collection” package opted for the old non-enhanced disc from 2000. Sine the 2006 transfer had its problems, that wasn’t a horrible letdown, but it still meant we got a flawed image. Sharpness was consistently problematic. Very little of the film showed even mediocre resolution, as the majority of the flick was soft and mushy. I noticed blockiness and jagged edges as well as more than a few examples of edge haloes. Source flaws were a consistent concern. Throughout the movie, I witnessed specks and marks. These varied in intensity but accompanied a lot of the flick. This black and white movie provided mediocre contrast. Black levels tended to seem somewhat mushy, and the film took on a somewhat dingy gray tone much of the time. Shadow detail varied. Some shots presented good clarity, but others became murky and opaque. This was a bad image that only deserved a “D”. Though it came with its own issues, the Dolby Digital 5.0 worked much better than the visuals. On the positive side, the soundfield provided a solid sense of depth and breadth throughout the movie. The forward speakers demonstrated good localization across the channels, as a mix of effects popped up usefully from the sides. Sounds moved cleanly across the front channels and they blended together quite well. Day featured little score, so music wasn’t much of a factor. The bits and pieces that appeared came across fine, however. Unfortunately, effects were a periodic problem. These tended to sound tinny and flat. The track failed to deliver much range and lacked punch. Some crackling and distortion occasionally accompanied these elements. The breadth of the soundfield was good enough to make this a “B-“ track when I graded on an age-based curve, though; it never excelled, but it boasted some strengths. Under Trailers, we find three ads. This area presents promos for Longest Day as well as for Tora! Tora! Tora! 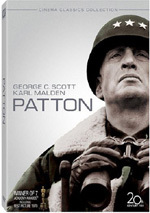 and Patton. With “48 international stars” and three directors, The Longest Day can certainly claim to provide a big experience. And it occasionally lives up to its billing, as some of the battle elements give us a good look at the events of D-Day. However, the broad scope also means that we know little about most characters and simply fail to care much about them. This affects the film’s dramatic impact and makes it less involving than I’d like. 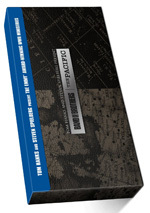 The DVD offers pretty good audio but suffers from weak picture and lacks supplements. I don’t think there’s ever been a good DVD release of Day, and this one doesn’t change that belief. Note that this version of Longest Day comes as part of a 10-DVD set called “The John Wayne Film Collection”. It also includes The Comancheros, The Big Trail, Red River, Legend of the Lost, The Barbarian and the Geisha, The Horse Soldiers, The Alamo, North to Alaska and The Undefeated.